Saturday, October 27th, 2012 - Categories: Competitions, Events. 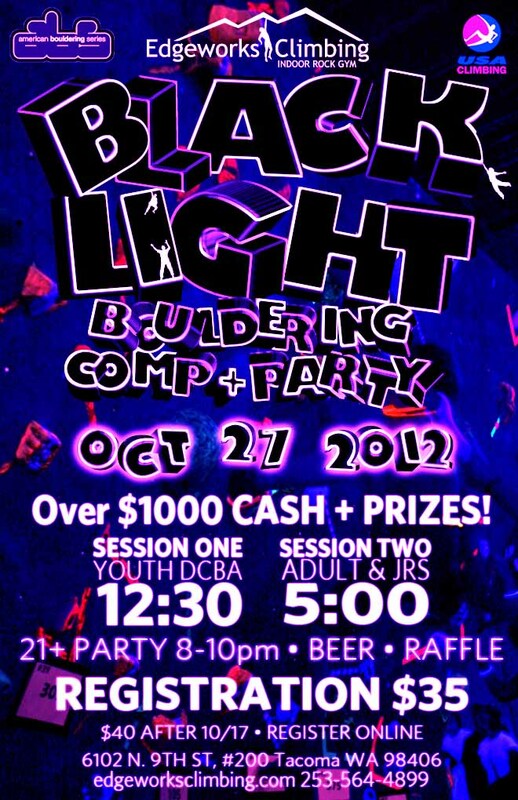 Get ready for the 8th Annual Blacklight Bouldering Comp! This USAC/ABS sanctioned competition happens once a year; last year over 200 competitors, professional and amateur competed for prizes and cash! Some of the best routes of the year are put up for this competition, the energy is phenomenal and the raffles prizes from climbing brands like Black Diamond, Petzl, and Evolv are awesome! PLUS: There is over $1000 in cash prizes for adult categories!